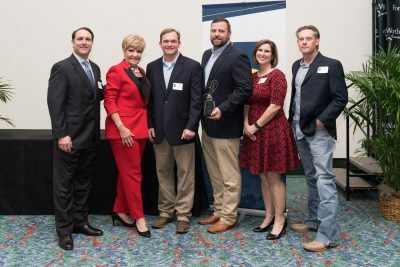 Four successful Tarrant County enterprises received the 2018 Small Business of the Year (SOBY) Award from the Fort Worth Chamber of Commerce. The annual awards were announced at Mayor Betsy Price’s State of the City address on Feb. 20 at the Fort Worth Convention Center. Emerging Business: Site Barricades, a full-service traffic control company. 1-10 Employees: The Paisley Heart LLC, online shopping with personal service catering to women. 11-50 Employees: Pointwise Inc., an engineering software developer for computational fluid dynamics simulations. 51-150 Employees: BorrowWorks LLC, which provides loan servicing and marketing to lenders and banks. Recipients are categorized by either emerging business or number of employees and judged on business growth and performance, sound business strategies and practices, customer service strategies, business challenges, unique and innovative approaches and community involvement. The winners were chosen from a field of 142 nominees and 12 finalists in four categories. 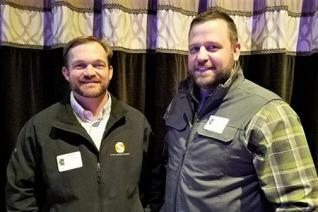 Each finalist was judged on a written application and a site visit by business owners and professionals who are members of the Fort Worth Chamber of Commerce, most of them past SBOY award winners. Top graduate students from TCU’s Neeley School of Business were also among the judges.